3D Vinyl™ captures the great album art of the last several decades and brings that to you in a statue collector series. 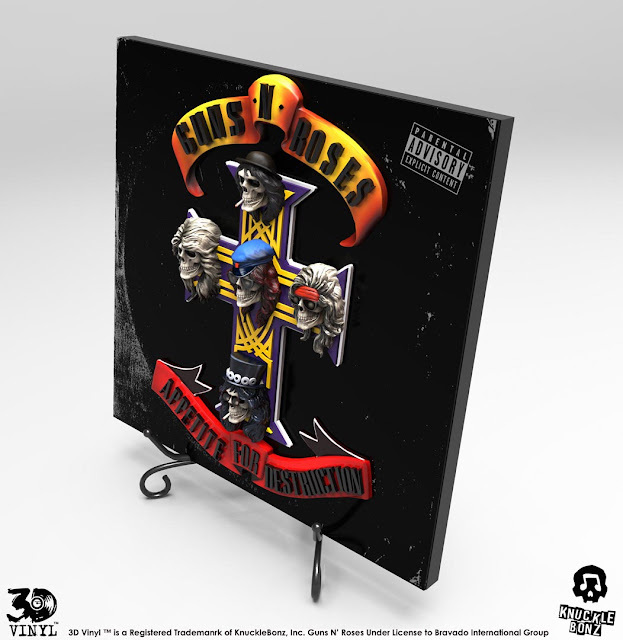 The Guns N’ Roses Appetite for Destruction 3D Vinyl™ is now available for pre-order. This will ship this Summer 2018. 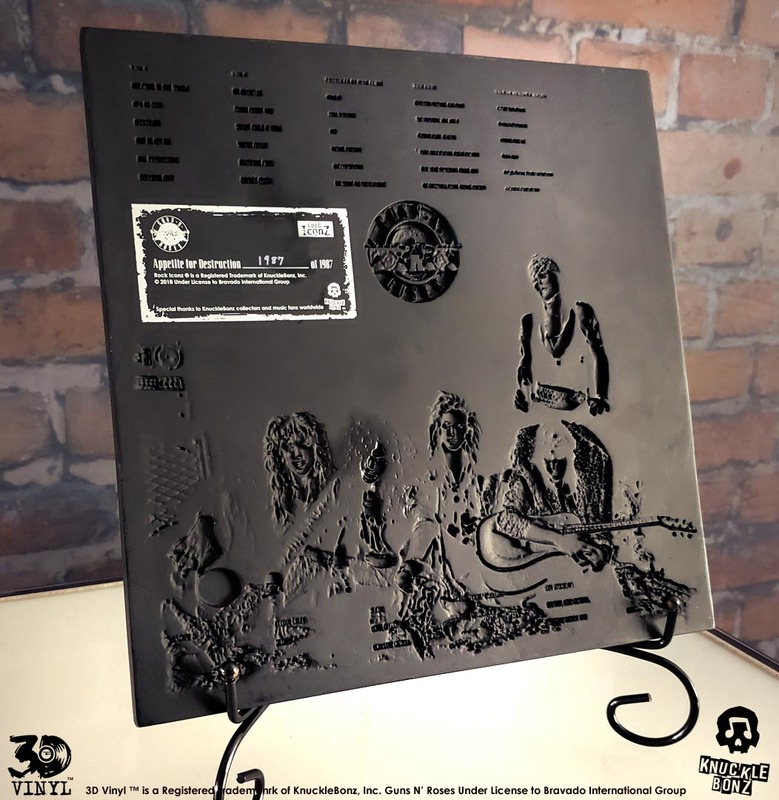 Officially licensed and released in a limited edition of only 1987, this unique 3D Vinyl™ statue is hand-painted, numbered and comes with a certificate of authenticity printed on the back of the collectible. Created to capture some of the most iconic images in album art, this 3D Vinyl™ is 12″ (tall) x 12″ (wide) and this unique collectible can be desk-mounted or wall-mounted. Only 1,987 are made. 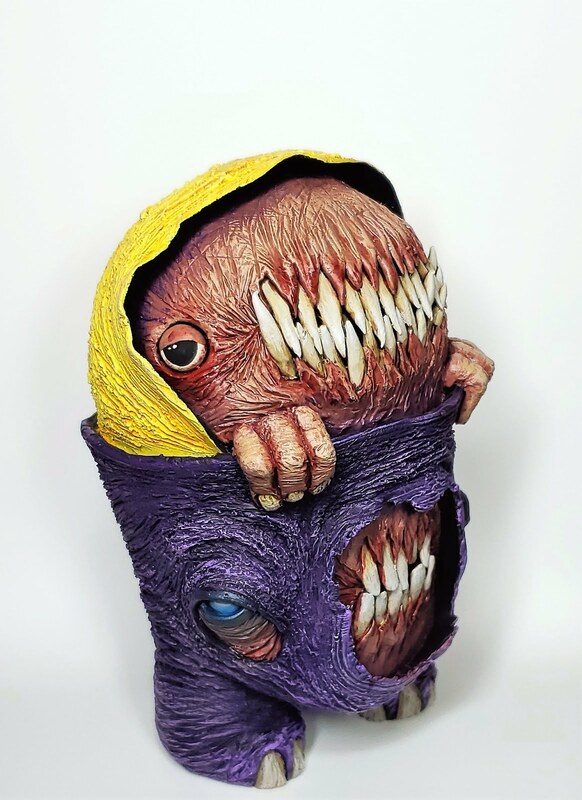 Hand-cast resin statue, weighing approximately 5 lbs. 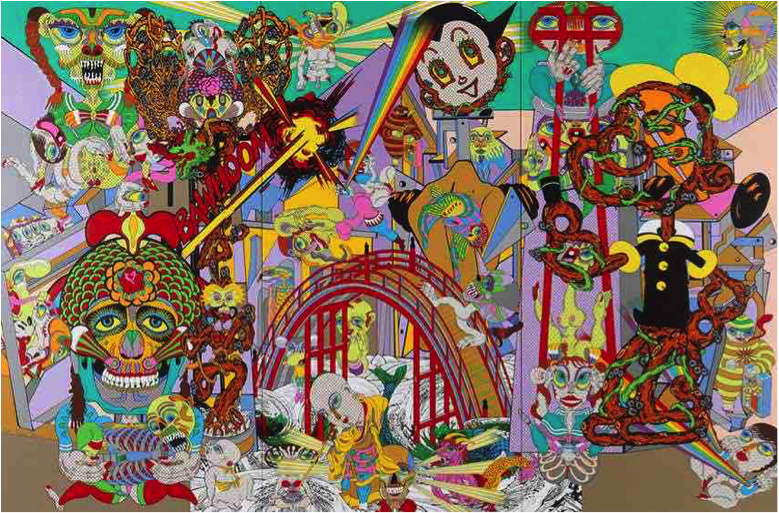 Japanese Magical POP Artist KEIICHI TANAAMI APPortfolio x Keiichi Tanaami NEW!! Skateboard & Pouch! 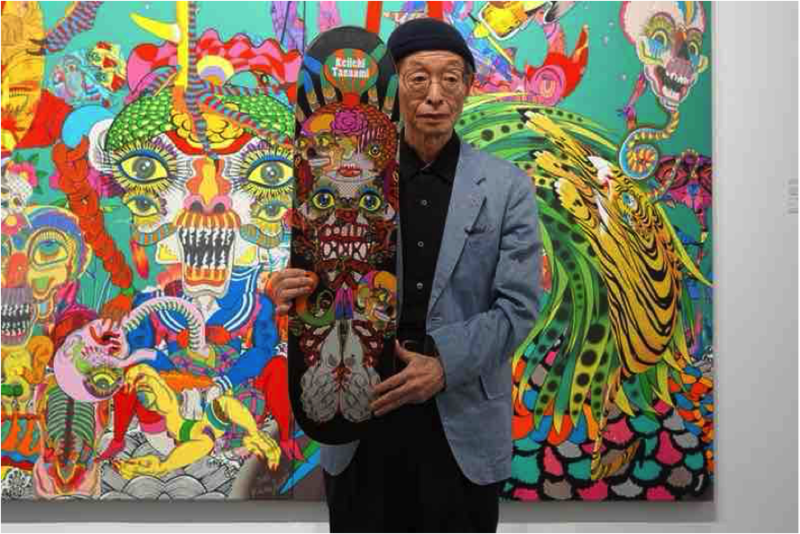 Mr. Tanaami has never changed any of his art language! The strongest visual impact you will never forget. 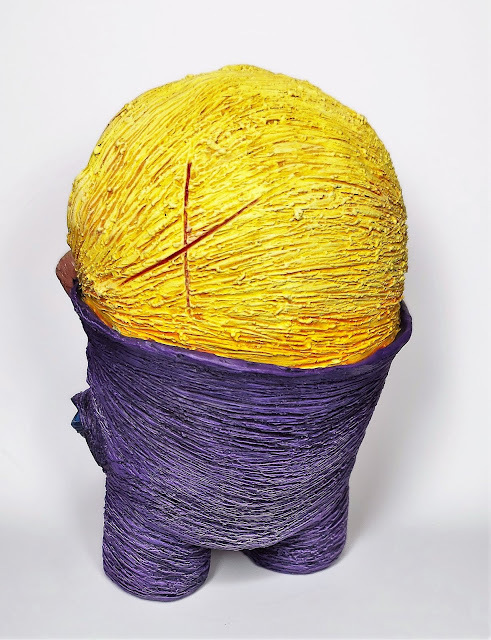 APPortfolio, an Asia art organization promoting contemporary art, has a long-term committment to bring more contemporary art and crossover projects to the publicities. Japanese pop arti master Keiichi Tanaami jointly launched special and unique products during this June and July. 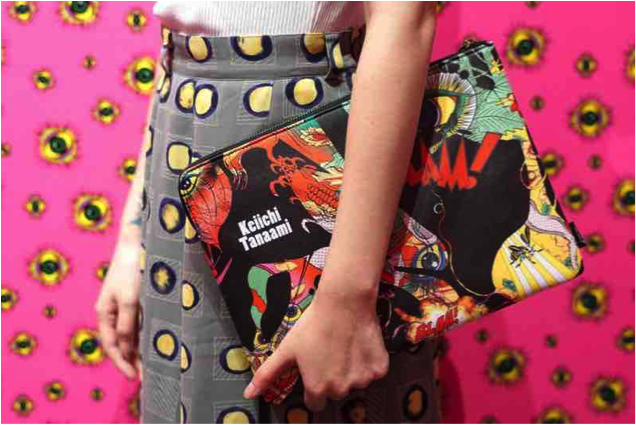 The design of this pouch fully demonstrates the psychedelic pop style of Mr. Tanaami’s works. BLAM stands for the symbol of the bomb explosion of World War II. The intense light is expressed in a comic form, and various plant and insect shapes are based on the illusionary impression that occurred during his illness. Super unique with personality and attitude! 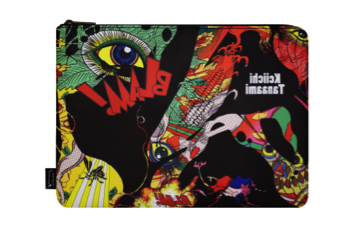 Can be used as a cosmetic bag, travel bag or clutch bag, suitable for all men and women. This pouch is made of PU. 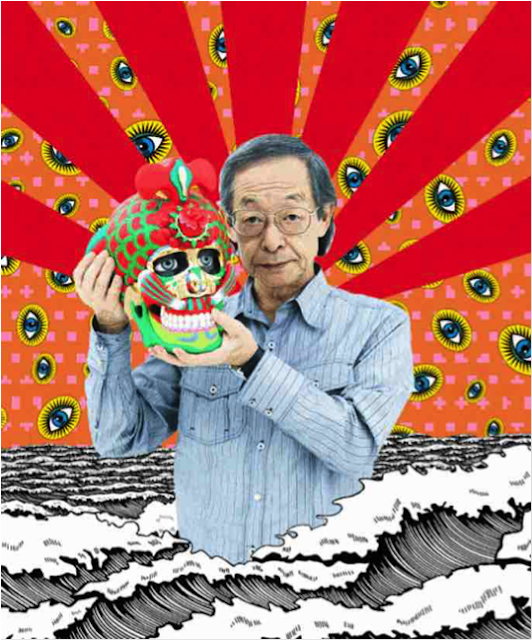 Keiichi Tanaami is one of the leading pop artists of postwar Japan. 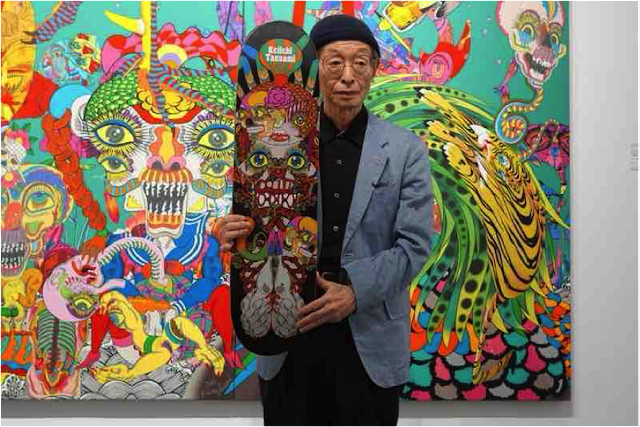 He has been active as multi-genre artist since the 60s as a graphic designer, illustrator, the video artist and fine art artist. His paintings and sculptures blend together the elements of pop art with the memories from his childhood that don’t include only World War II scenes, but also hallucinatory experiences and high fevers. 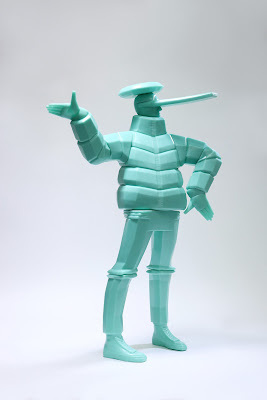 At the same time, Tanaami’s works have a certain connection with the religious practices of Asia and Japanese history and culture. APPortfolio is an art platform for integrating international art resources, recruiting cutting-edge artists and designers across Asia, curating professional exhibitions and activities. 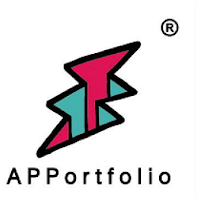 To provide a platform for artists and taking up social responsibility, APPortfolio lines up its subsidiary brands and physical venue, together with charity groups and different types of art & cultural space, commercial complex, to export high quality and creative cross-border artistic activity. Wonder Woman is arguably the most popular feminist icon in the superhero world. Serving as an emissary of peace, she uses her bracelets and Lasso of Truth to stop injustice. From crooked business owners to Nazi spies, Wonder Woman will stop at nothing to protect innocent ones from the powers of evil. This is the latest pair of dissected Foo Dogs, just in time for the Lunar New Year! These imperial guardian lions are traditionally viewed as mystical gatekeepers of power, unity and protection; warding off all evils. For 2018, they come coated in a beautiful shade of terracotta with gold accents. Terracotta is an earthy colour which epitomizes stability whilst Gold symbolizes prosperity and abundance. 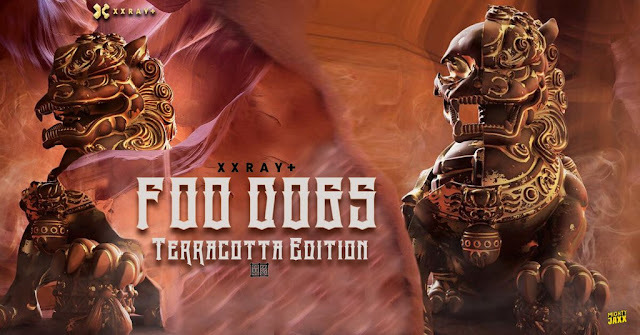 The Foo Dogs should be displayed closely together instead of apart, with the most auspicious placement being, the female on the left and the male on the right. Nothing beats having these beasts protect us from that ill-luck banging on our doors. Not only do they put our hearts at ease, they're delightful to our eyes. To help celebrate Go Skateboarding Day 2018, 1xRun has teamed up with over a dozen artists to create more than 25 new artist edition skate decks. 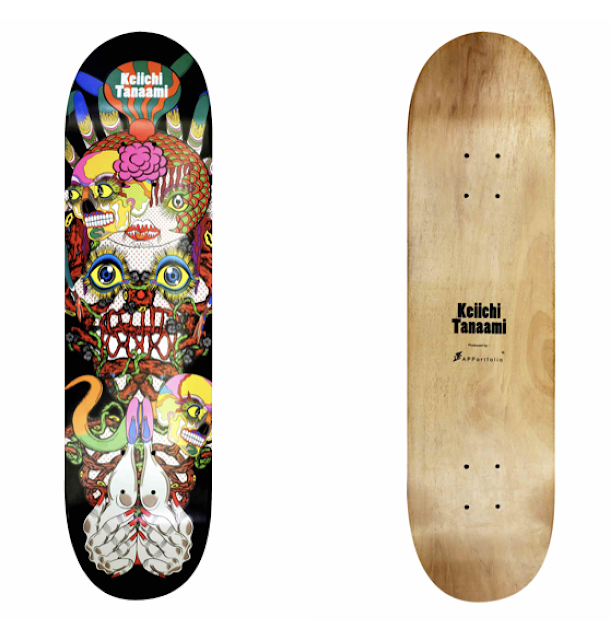 Available now until July 20th(or until the run sells out for specific decks), be sure to check out the collection and snag a deck with art from one of your favorite artists. The following are 2 of my favorite pieces in the collection, a design from Hueman and one from Dalek. 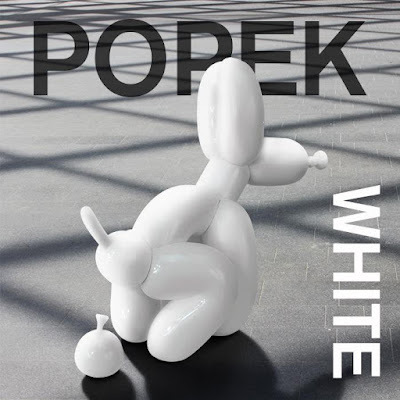 The original bright red edition of POPek was a sell-out and we expect nothing less of this white counterpart! The squatting balloon dog might be a shade darker but is every bit as cheeky as before, leaving behind his balloon turd everywhere he goes! Los Angeles Comic Con comes back to the LA Convention Center October 26th through the 28th, for it's 8th year! Available now are the 3-Day passes, at Early Bird Prices, $60 for a 3-Day pass. Attendees 12 and under are free and can also be added to the order. The $60 price tag represents a nice $15 savings and will only be available for a limited time. Each year, Los Angeles Comic Con grows in attendance and this year will likely be no exception. With over 700 artists and vendors, Los Angeles Comic Con is becoming more of a must attend event. Get your tickets now and start planning for a trip to Southern California. For more info, head on over to ComicConLA.com. Yes, you read that right, FYE is jumping head first into the Designer Toys world with some 2018 Summer Convention Exclusives. 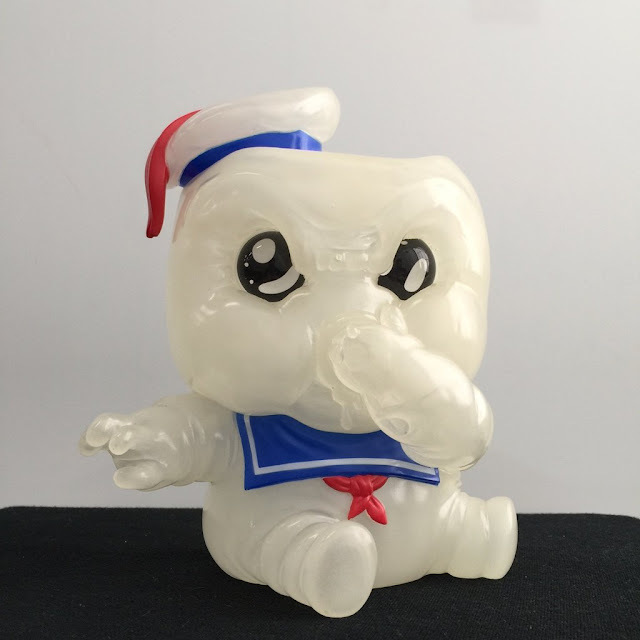 FYE has teamed up with artists like Jason Freeny, Ron English, and Andrew Bell, to create some limited edition FYE exclusives, available online at fye.com and at one of the 250 FYE stores. The following exclusives are(were) available for pre-order now and is the first step for FYE to make a big splash in the Designer Toy world. With SDCC 2018 fast approaching, FYE is planning to have signing, SDCC exclusives and more available at the FYE Pop up shop that will be at Horton Plaza, during SDCC. Now onto the initial set of exclusives. XXRay Superman Steel Finish Limited Edition - $129.99, Designed exclusively for FYE by Jason Freeny. 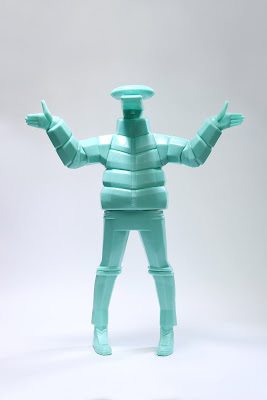 The figure stands 8" and has the same style as the rest of the XXRay line of toys. 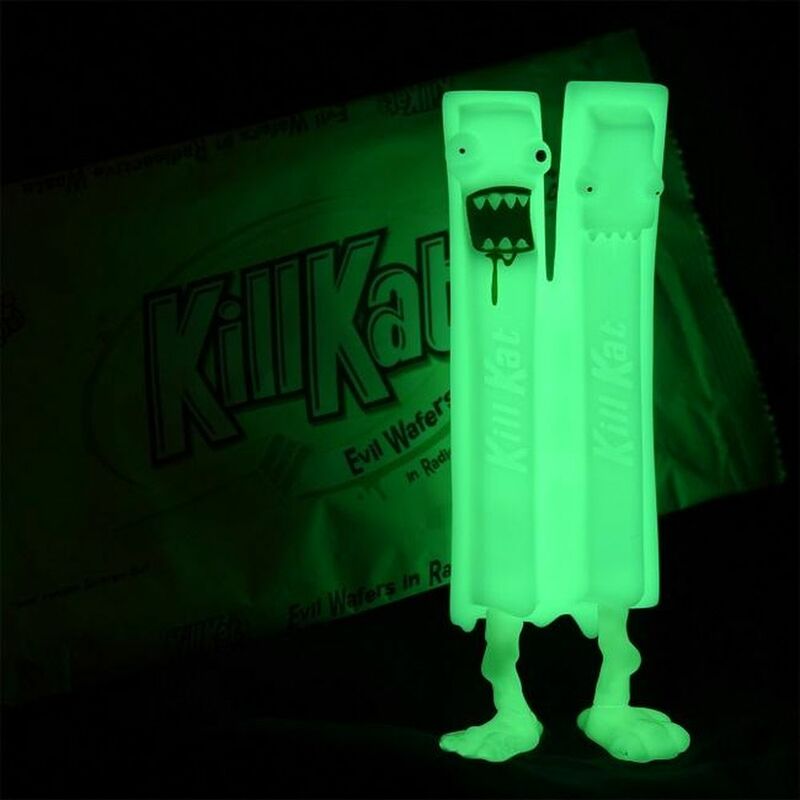 No word on edition size, but Pre-order is limited to 2 pieces per customer. XXRay Reptar Limited Edition - $129.99, Designed by Jason Freeny, exclusively for FYE. 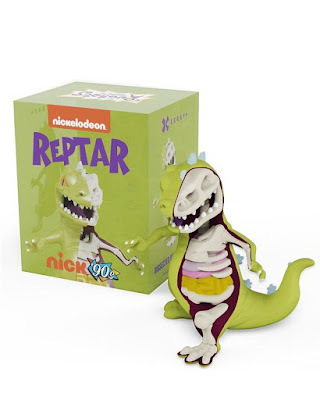 Standing at 8", this Nickelodeon character is re-imagined in Freeny's dissected style of toys. No word on edition size, but Pre-order is limited to 2 pieces per customer. 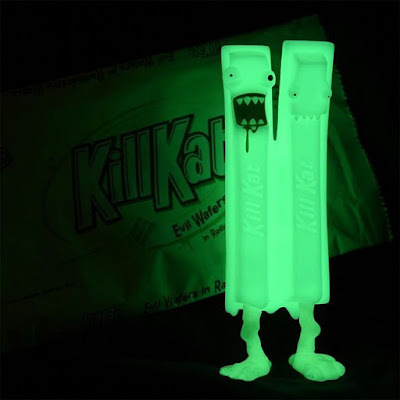 Radioactive KillKat Vinyl Figure - $39.99(currently not available), FYE Exclusive of Andrew Bell's popular KillKat figure.No word on edition size, but as of this post, the piece was not available for pre-order. 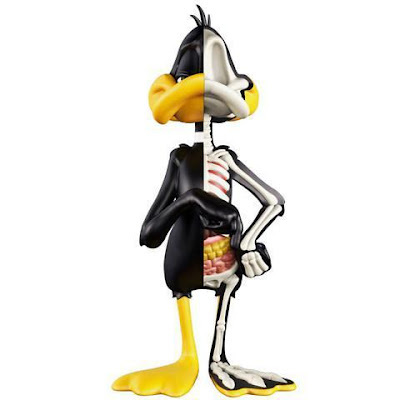 XXRay Spongebob Squarepants Hidden Dissectibles - Collector's Set $299.99, Blind Box $19.99. Designed by Jason Freeny, exclusively for FYE, iconic Spongebob Squarepants characters get shrunk down into 4" collectible figures. FYE has made a collector's set which will include all 9 figures(shown), 4 rare chase figures, and a collector's set exclusive Spongebob GID variant. 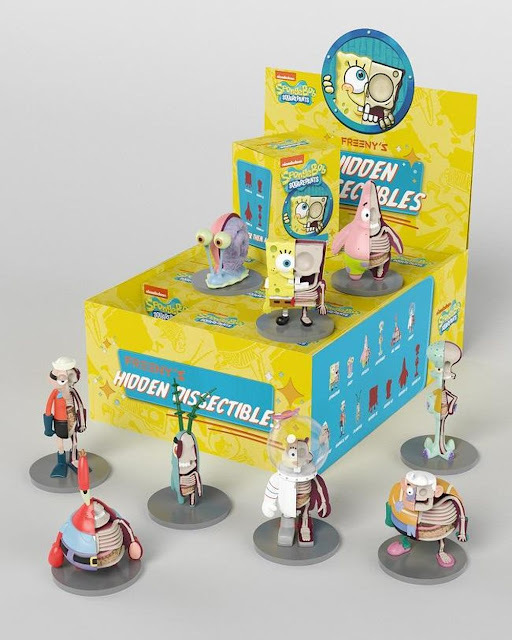 The 4 chase variants are unique designs of the main characters, Spongebob, Patrick, Gary, and Squidward. These figures are also available for pre-order as simple blindboxes, but the GID Spongebob can only be obtained by purchasing the Collector's Set. 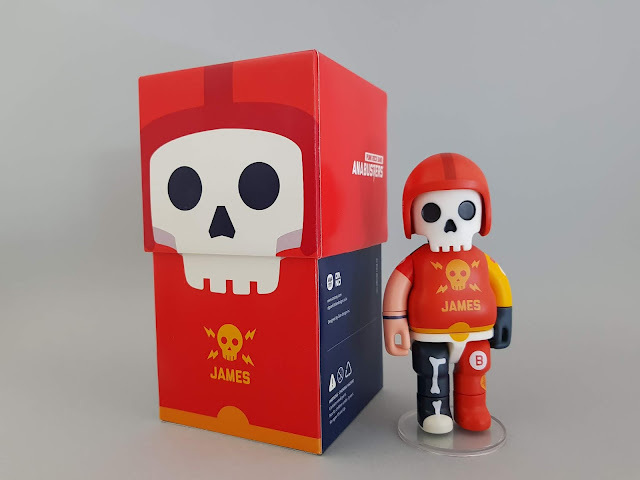 With a price tag of $19.99 for each Blind Box, it's a bit higher than what most blind boxes are known to sell for, however, these figures are 4" tall licensed characters. FYE will be releasing more info as time goes on, but this looks like a great start of exclusives, which will definitely have the capability of hitting a much larger audience of consumers, albeit through licensing. Remember Bitchy Rich? The infamous loudmouth is back and not just rich, but is also now the MAD Clown in Chief or Liar in Chief! To better suit his twisted tales, he has changed his appearance – now with festive and hunger-inducing red and yellow outfit. How can the world withstand the poisonous MADNESS from this tiny sadistic man? The answer is in plain sight – by wielding stacks of dollar-bills. There’s something strange in the neighbourhood! 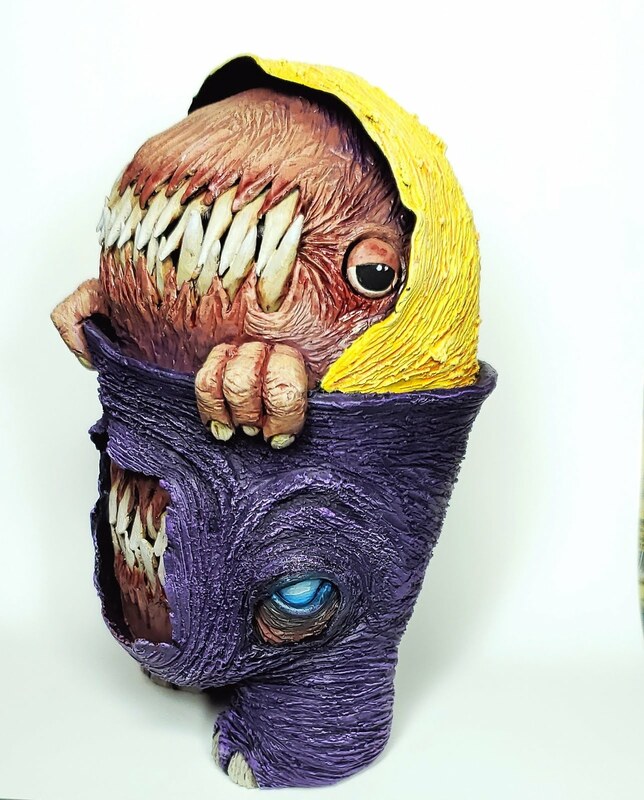 Alex Solis is definitely not new to the game and we’re sure that many of you have seen his incredible illustrations of horror characters as incredibly adorable infants on your social media feeds previously. In this new collaborative series with the illustrator know as Baby Terrors, we bring his nostalgic, pop-culture illustrations to life with an insane line-up of iconic monsters, killers, maniacs and other terrifying characters from fan-favourite horror movies and tales in cute, comical style. From an enchanted forest in a distance land lives a mystical creature so rare only the most avid collectors can catch it. Kidrobot has teamed up with the Designer Toy Awards Breakthrough Artist of the Year, Jordan Elise Perme & Christopher Lees, to lead the hunt for the elusive Curly Horned Dunnylope. 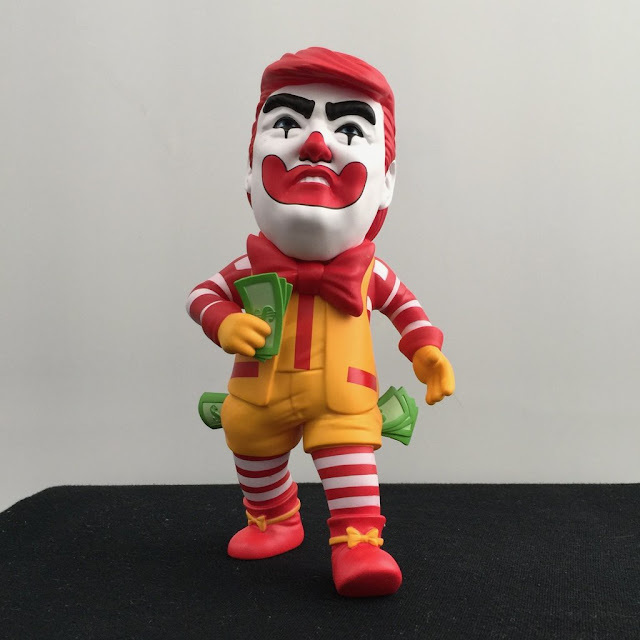 This meticulously designed 5-inch tall Dunny art figure features the unmistakable signature style that Horrible Adorables creations share. This orange version with metallic silver horns. Don't wait! 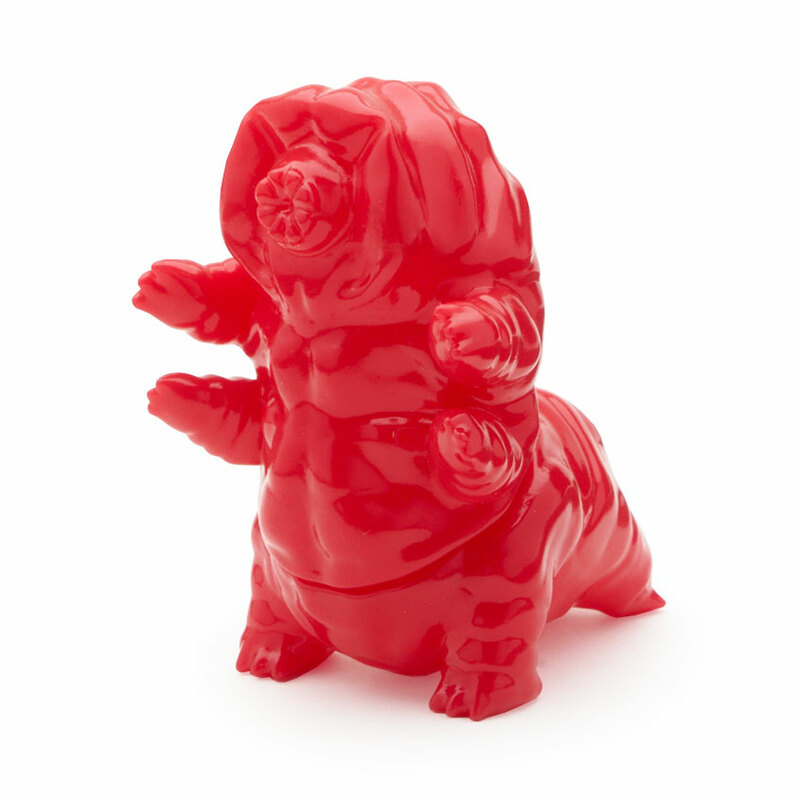 Tarbus the Tardigrade: The First Product, Toy, and Tardigrade Designed in Virtual Reality! 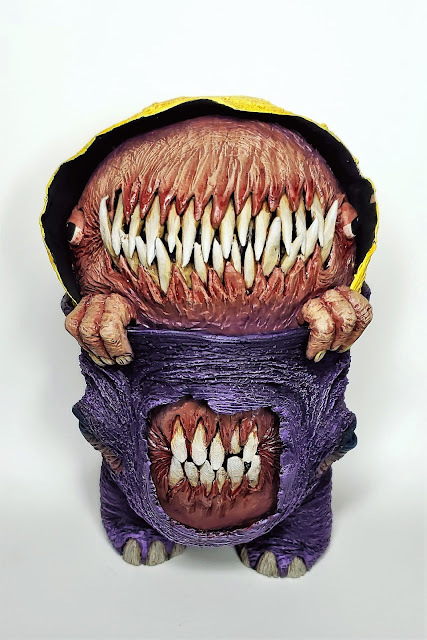 DoomCo Designs announces the release of the first ever product, vinyl toy, and microorganism designed completely in VR! 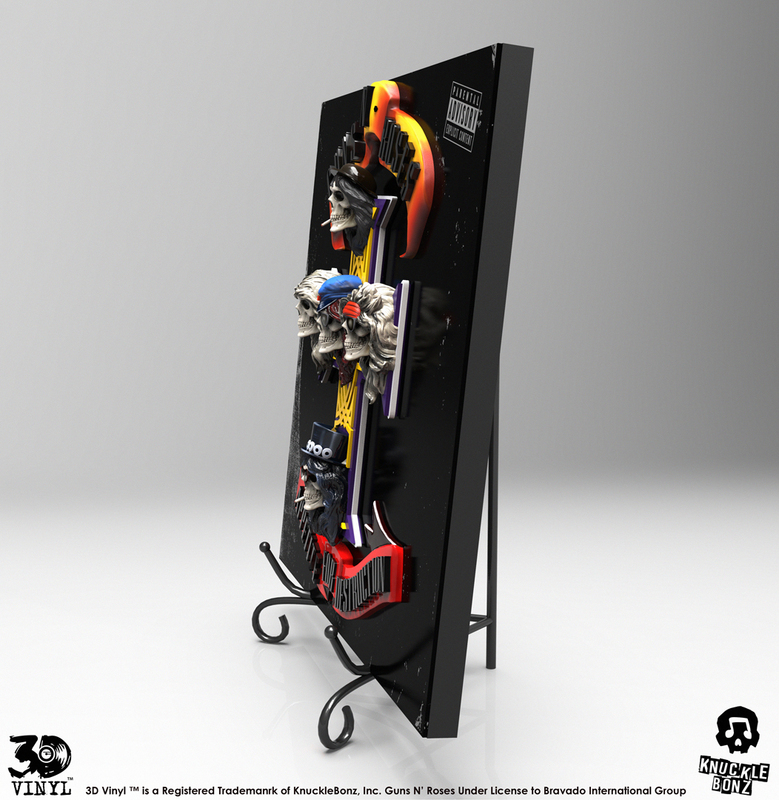 Through the use of Oculus Medium, Kent Fremon and Josh Burman have successfully pioneered integrating the future of virtual design into the larger world of mass manufacturing! Tarbus the Tardigrade stands tall at 3.25 inches, is made of two pieces fit together at the waist, and comes in five standard colorways, manufactured by Squibbles Ink. 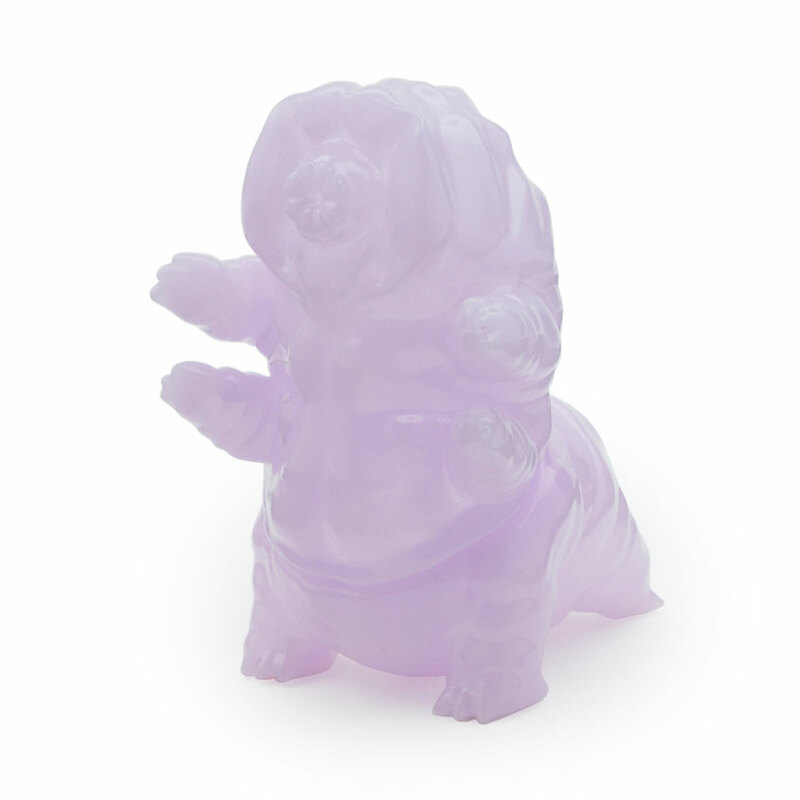 Available now at DoomCoDesigns.com for $18/tardigrade, Tarbus is as immortal as the humble water bear itself! New figures from South Korean toy company ANATOY are in stock! 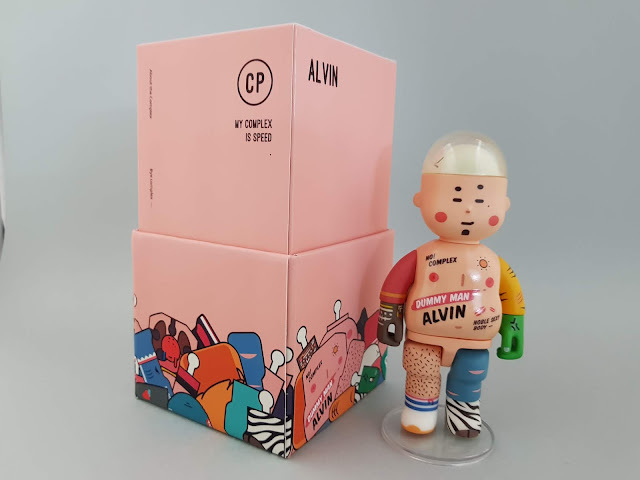 Alvin, Anthony and Anabusters are all around 5.5 inches tall, give or take, and are highly articulated PVC action figures. 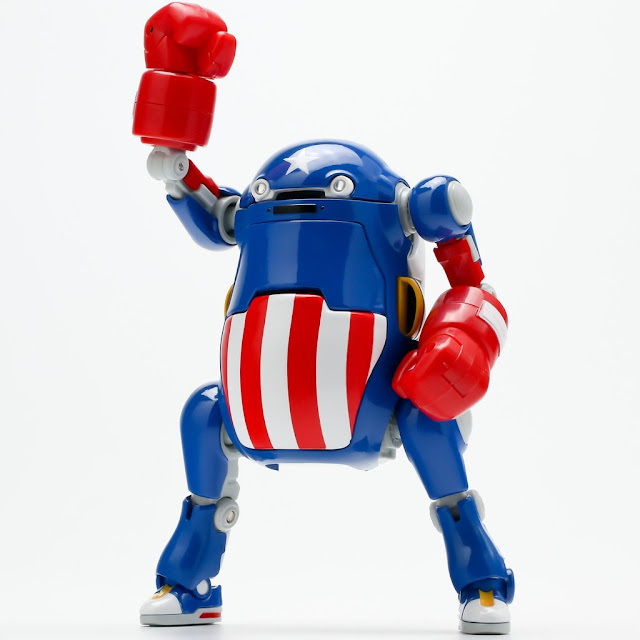 Click here to pick up these fun new additions to the ANATOY lineup. 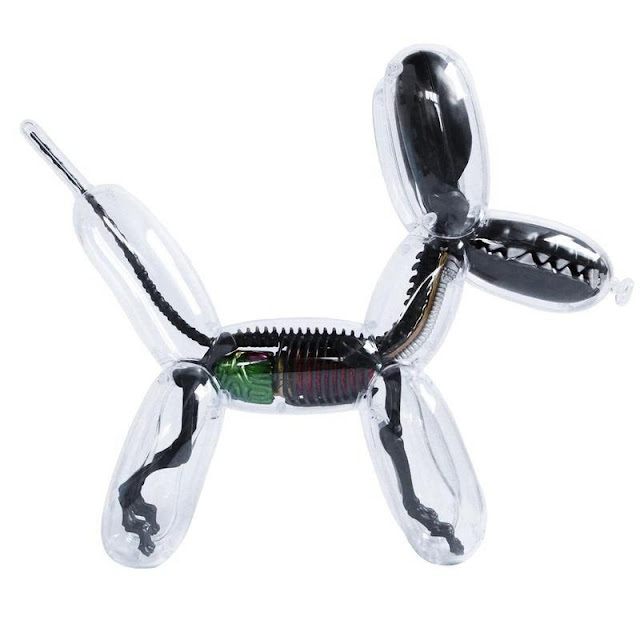 Mighty Jaxx is proud to reintroduce Jason Freeny’s Balloon Dog Anatomy in a limited edition metallic black colourway exclusively for all you MJ fans out there! 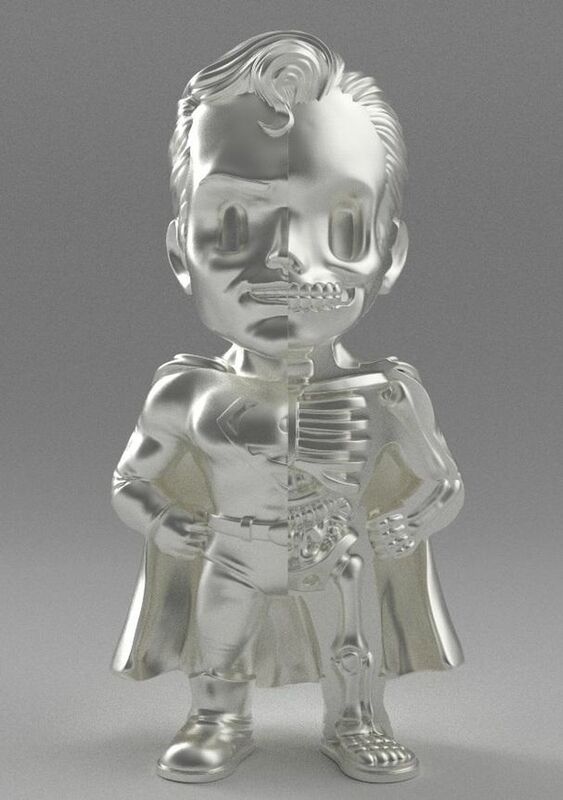 Keeping in line with tradition, this beloved collectible gets the classic cross-section anatomic treatment once again. 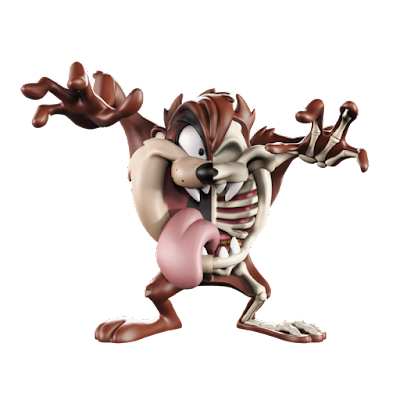 Standing at 8” tall, it comes with 26 fully-detachable organs and body parts to be assembled – forming a highly detailed visible skeletal system within the iconic canine. Now a special colourway for this special Dog Year? We don’t see why not! 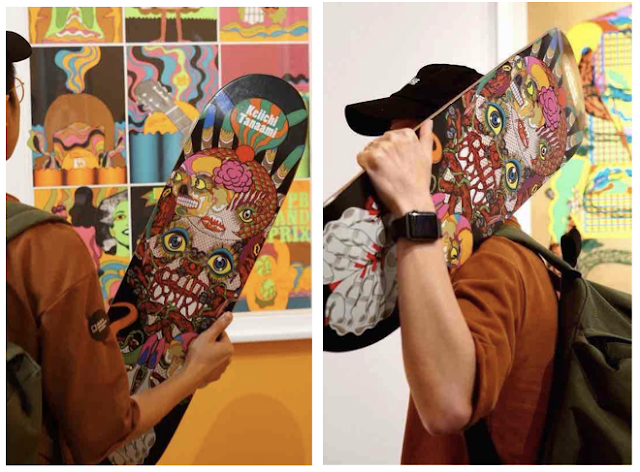 “I love drawing stuff— the weirder the better.”— Based in Toronto, British artist Paul Jackson is famed for his stunningly intricate illustrations that often involves the anatomy of humans, animals and various fictional characters. 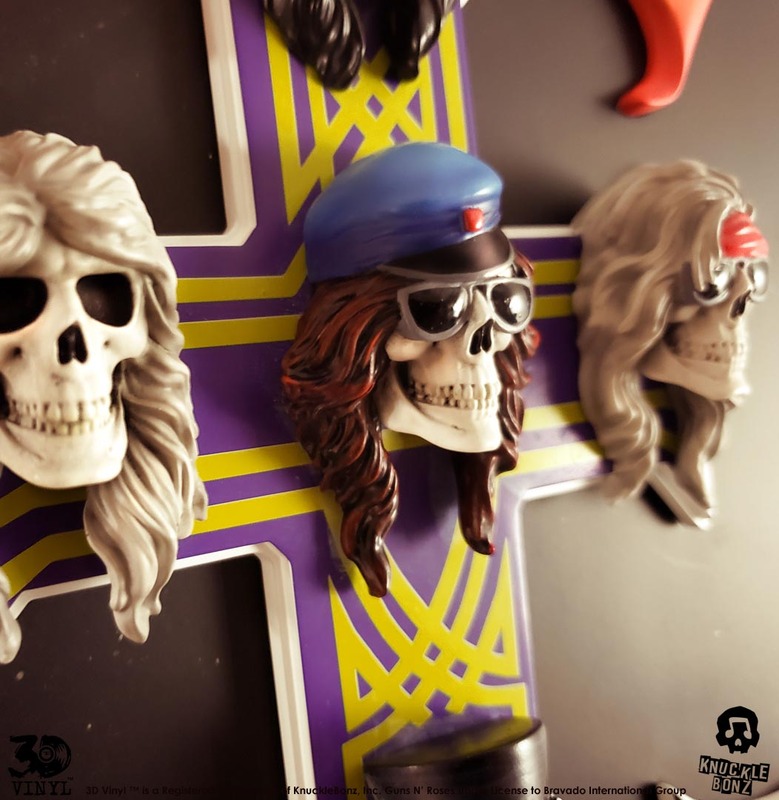 Darwins Revenge is probably no stranger to most as inspired by his series of 'Revenge' drawings, Paul once created a concert poster for one of the most celebrated American rock bands of all time. In the first MJ collaboration with the talented artist, we bring you one of his many elaborate ink creations to life in a 6” polystone figure. 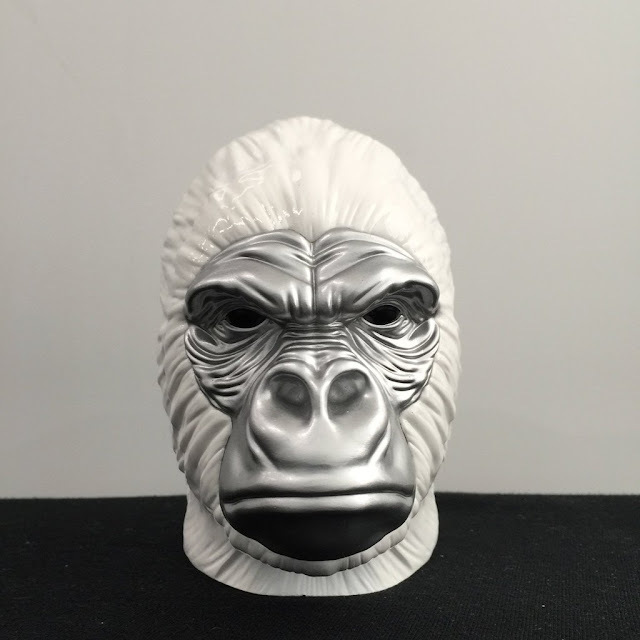 As an added surprise element, the white gorilla head can be pried open to reveal a figure resembling Charles Darwin, strapped into what seems to be a cockpit and piloting the majestic creature! 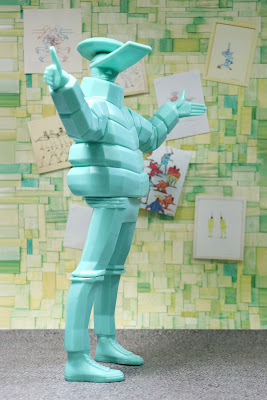 Weirder is definitely better when it comes to Paul Jackson, that’s for sure! Rise and shine, sleepyheads! Nuh-uh…don’t press that snooze button. 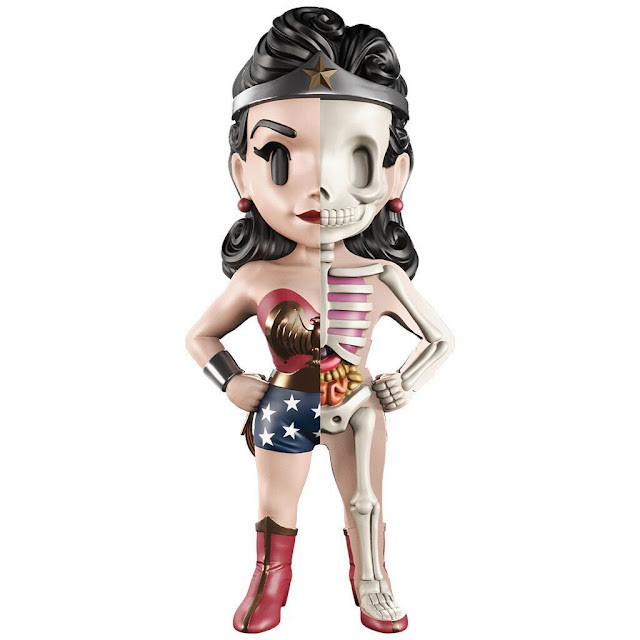 It’s a beautiful sunny day out with this iconic anatomical figure, returning due to popular demand! 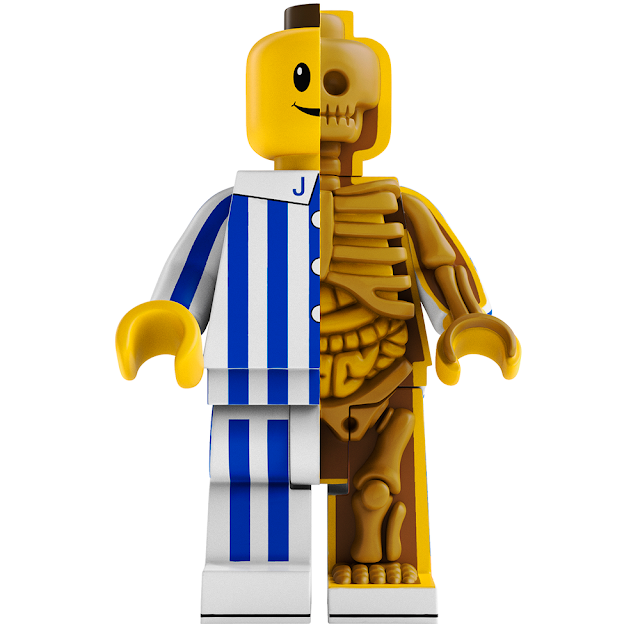 This time round, he's wearing a classic blue and white striped pyjamas with the letter ‘J’ imprint on the collar, representing the artist Jason Freeny. After a day jam-packed with activities, it’s time to hit the sack with your new buddy. Lights out, snuggle in a warm blanket and wake up to his bright smile! Frequent patron of the Arkham Asylum, The Joker has undoubtedly proven himself to be the most vicious psychopathic killer roaming the DC universe. Decked out in his signature green hair, deranged smile and hysterical laughter, the notorious comic book villain goes on a spree to ruin lives just to demonstrate his manifestation of how everything can be destroyed in a moment. We know little about his ambiguous past but his actions has branded him as one of the biggest menace to our heroes and the people around them, murdering and torturing innocents just to put a smile on his face. 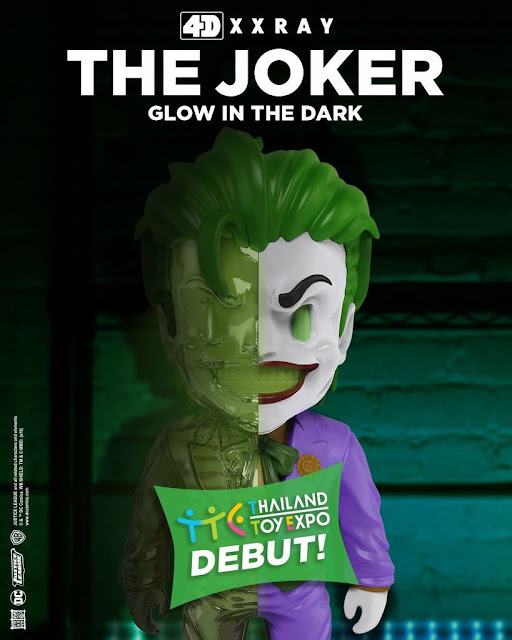 Take a closer look inside the disturbed psyche of The Joker in this limited edition GID 4D XXRAY figure! 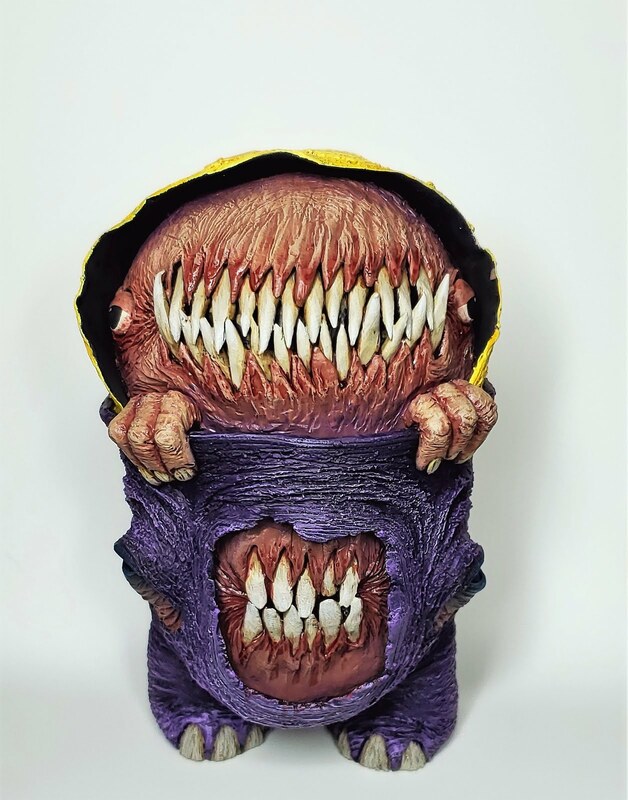 Atom X (formerly Small Angry Monster) has collaborated with the incredibly talented Nerviswr3ck to bring about this "Emergence". 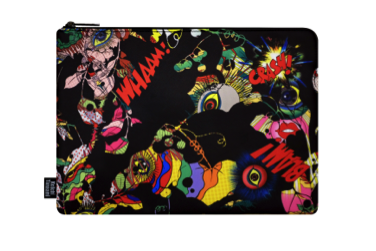 Bringing nuance to life in full color, Atom X has embodied what it means to emerge into the art toy scene once more. This is a one of a kind custom release and is offered for $100. You can find Atom X on Instagram @atom.x.go and his shop at atomx.bigcartel.com.